It’s time to welcome another startup to the clear-teeth-aligner market. 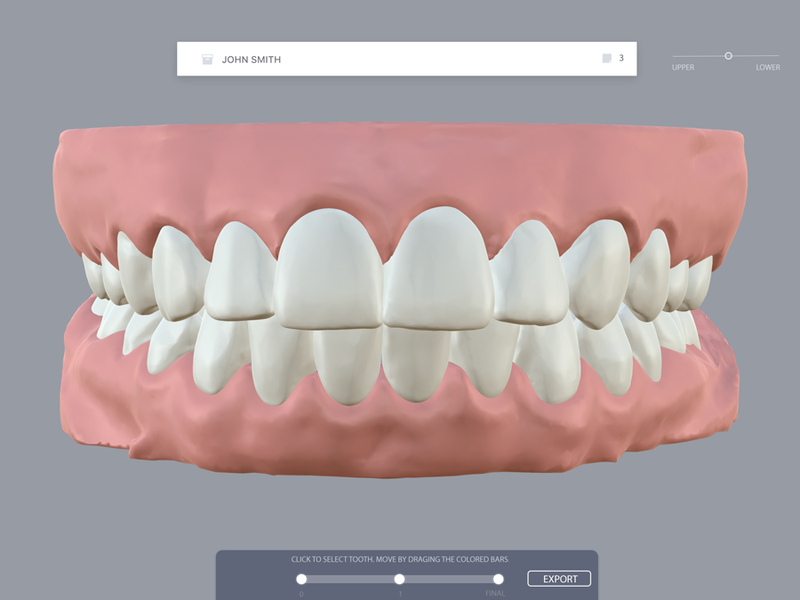 Meet ArchForm, a Y Combinator-backed teeth-aligner software startup that lets orthodontists create, design and 3D print aligners within their own offices. The idea is to provide orthodontists with a way to better compete against some direct-to-consumer teeth-aligner startups and cut down on the cost of Invisalign. The cost of braces and invisible aligners — those clear, mouthguard-like pieces of plastic — varies, but treatments can range from $4,685 to $6,500 for adolescents, and adult treatments can cost up to $7,135, according to a 2013 American Dental Association survey. Last year, the orthodontics market saw $11 billion in revenue, according to market research company IBISWorld. ArchForm is trying to tap into the growing accessibility of the 3D printer market to enable orthodontists to 3D print their own clear aligners in-office. Orthodontists currently pay about $1,700 per patient to Invisalign, the company says. So in order to make money, orthodontists sometimes charge patients upwards of $7,000. ArchForm charges orthodontists just $50 per patient. In the last couple of years, a number of teeth-aligner startups have emerged. The pack includes the likes of SmileDirectClub, Uniform Teeth, Candid and Orthly. None of the startups are exactly the same, but all aim to reduce the cost of clear aligners, as well as the number of visits to the orthodontist — with some even cutting out the in-person orthodontist visit altogether. ArchForm takes a different approach by enabling local orthodontists to simply enhance their existing businesses. In ArchForm’s current customer base, 75 percent of orthodontists who sign up to use the software already have 3D printers. “If they don’t already have one, the rest are looking into buying a 3D printer, because they only cost $3350 and Invisalign costs $1750/patient,” Martz said. For the orthodontists who would rather not invest in their own 3D printer, they can send the design to orthodontic laboratories that are equipped with 3D printers and powered by ArchForm’s software.